Q: Government of India has announced your name for the the Padma Vibhushan Award. How do you feel? 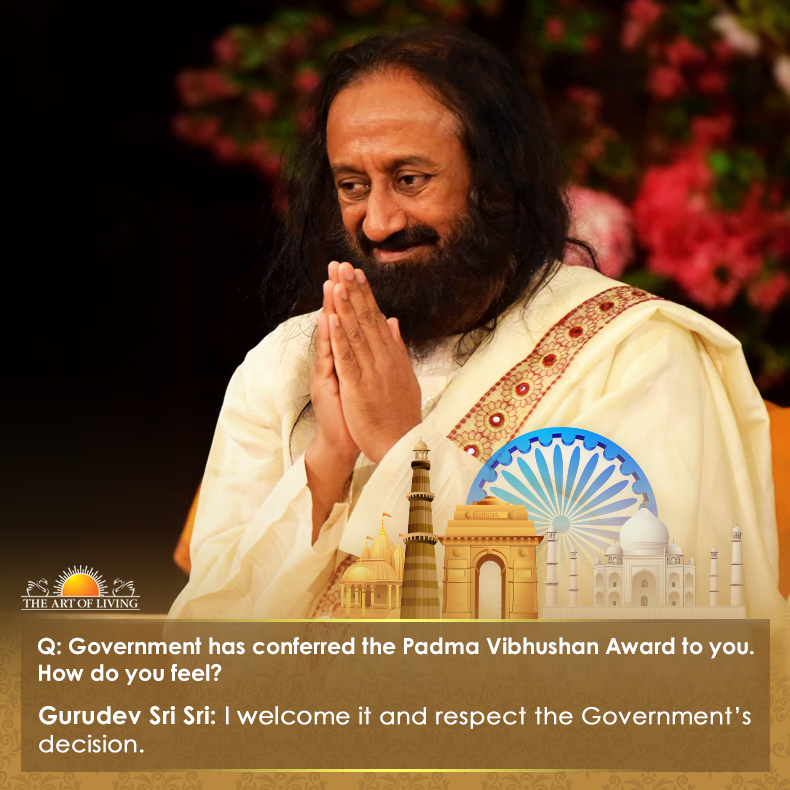 Sri Sri Ravi Shankar: I welcome it and respect the Government’s and the people’s decision and I accept the award.